Pixi Beauty GelTint & SilkGloss - Does It Last ? 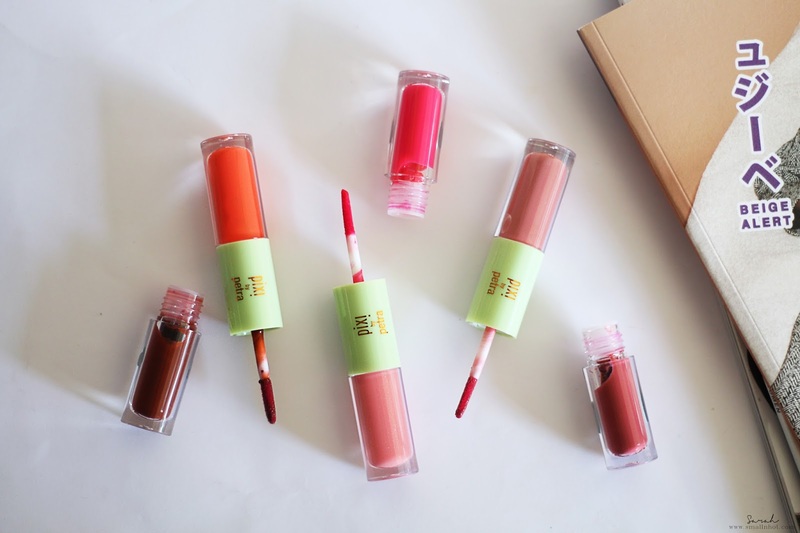 Pixi Beauty just launched their new lips collection, GelTint & SilkGloss. Which are easy everyday dual ended lip tint and silky lip gloss. The line consists of 3 different shades - Berry Tint & Sweet Gloss, Beach Tint & Fresh Gloss, Pink Tint & Pretty Gloss. So lets explore my LOVE & HATE relationship with lip gloss. The Pixi by Petra Beauty GelTint & SilkGloss are deemed to be a long-lasting lip tint that gives beautiful stained effect and gloss to keep lips hydrated and nourished. It doesn't dry lips out and paraben free, not tested on animals. You'll LIKE it because the gel tint gives a natural 'just-bitten' lips and as for the gloss, it's silky yet not sticky. You'll HATE it for the longevity of it . Gel Tint has a light and smooth texture that glides effortlessly onto the lips, leaving behind a subtle and sheer finish. You can easily build up the colour by applying 2 to 3 more layers and even with a few more layers on top, it doesn't resemble that of a raisin lips. Other than that, the formula is unlike the typical K-Beauty lip tint, where it will accentuates the dry patches on your lips. 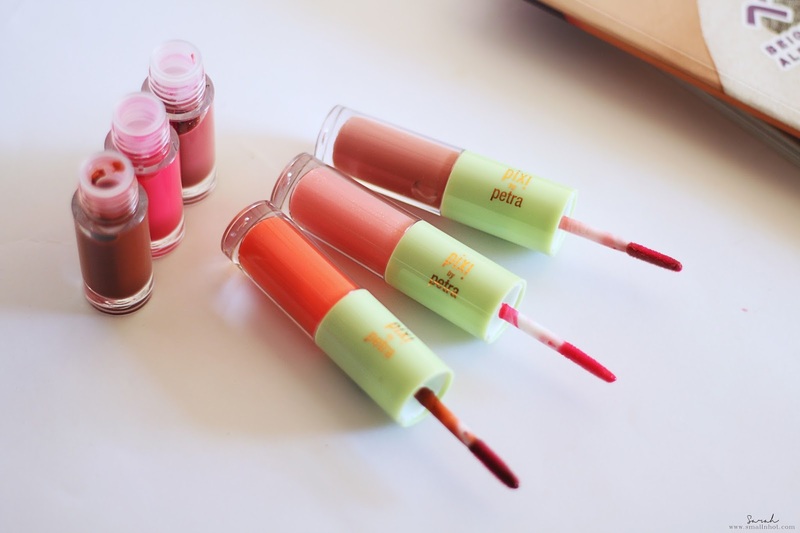 The Pixi Beauty Gel Tint's formula will dry up with colour evenly distributed on your lips, which definitely is a plus point if you always have patchy dry lips. 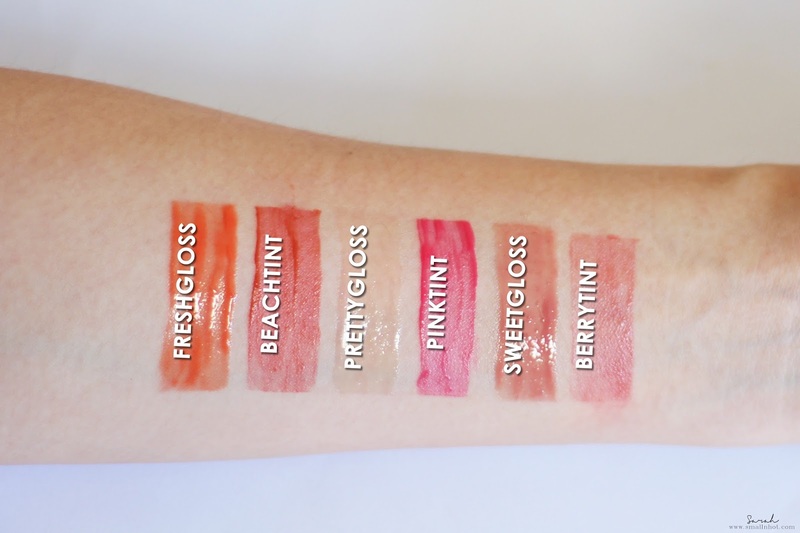 Silk Gloss is probably one of my favourite lip gloss because the colours are sheer and the formula is light and moisturizing and doesn't leave you feeling like your lips are sticky at all. The only issue with the Gel Tint & Silk Gloss is that they are not the longest lasting formulas out there. You probably need to touch up everytime you eat and drink but sometimes when you are out and about, touching up your lip makeup isn't much of a negative. A look at the shades selection. My favourite shade hands down is Berrytint & SweetGloss, its just the perfect everyday lip colour. Bottom line, if you want something hydrating with a touch of gloss on your lips, then Petra Beauty GelTint & SilkGloss is your sure bet. However, it might not win the longevity stakes.